Several talented tennis players are in Toronto this week to compete at the $60,000 Tevlin Challenger, an ITF Pro Circuit event. The tournament, aimed at being a stepping stone to playing WTA tournaments, has an illustrious list of past participants and champions, including many whom have gone on to bigger and better things. The inaugural champion, Toronto was one of three ITF Pro Circuit titles Wozniak won in 2005 as a teenager. 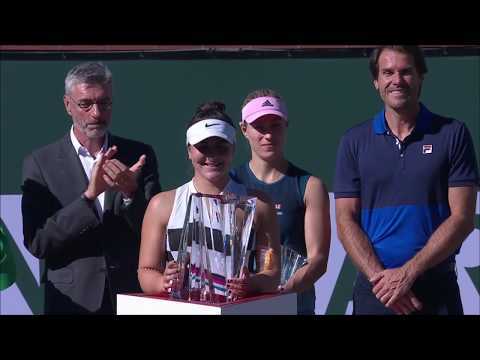 A stalwart in Canadian tennis for the past 15 years, Wozniak would go on to win a WTA title at Stanford in 2008 and reach a career-high ranking of world No. 21 in 2009. Tennis fans probably think of Sabine Lisicki best for making the Wimbledon final back in 2013, or her wicked 131 mph serve. Well, the Tevlin Challenger was also a part of her tennis journey, as at the age of 18 she won just her second pro title here, mere weeks after claiming her first. She eventually hit a career-high of world No. 12, and has three quarter-finals, one semifinal, and one runner-up finish to her name at the grandest Slam of them all, Wimbledon. The 2009 champion, the Tevlin Challenger was Camila Giorgi’s second pro title won at the age of 17. The Italian’s career-high ranking is world No. 30 from 2015, the same year she won her lone WTA title at s-Hertogenbosch. Always a dangerous opponent, Giorgi has picked up wins over players like Madison Keys, Elina Svitolina, and Karolina Pliskova this season. One of Great Britain’s best young talents, the Tevlin Challenger was Heather Watson’s biggest title to date when she won it in 2010 at the age of 18. She’s claimed three WTA titles since then and reached a high of No. 38 on the world rankings. The most successful Canadian female tennis player ever, Bouchard capped her final season as a junior (less than six months after claiming the Junior Wimbledon crown) with the Tevlin Challenger trophy, her biggest pro title to that point. She would climb to a year-end world No. 32 a year later before hitting the pinnacles of the Wimbledon final and a No. 5 world ranking in a career-best 2014 season. Canada’s top doubles player, who recently competed at the season-ending WTA Finals for the first time, has enjoyed some success on the singles circuit as well. She owns five Tevlin Challenger doubles crowns, and in 2014 added a singles title to her repertoire as well. It was her first pro singles trophy. Who will add their name to the list for 2017? Come visit Aviva Centre this week and find out! Admission is free for the duration of the tournament and among those competing are Canada’s own Bianca Andreescu, Carol Zhao, and Katherine Sebov. Apr 16, 2019 QUIZ: So you think you know your Canadian Fed Cup history, eh?